Finding out you’re pregnant is (usually) wonderful. These couples were super excited to share their happy news with family and friends. Announcing your pregnancy on social media is a good way to notify lots of people about major life events, but if you don’t go about it the right way, it can be painfully tacky. These couples should have stuck to the traditional sonogram picture and some fancy text. Read ahead for the most overused rap lyric in pregnancy announcement history, and siblings who are less than thrilled to be sharing their parents. This idea is nice in theory, I guess, but I don’t think they fully thought through this scenario. 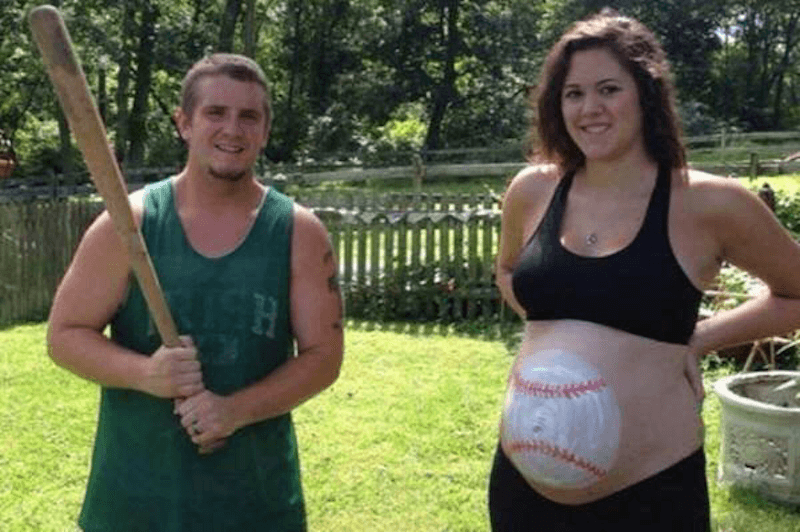 That baseball painted on her stomach may as well be a target. If they were set on the baseball theme, he could have gone with a catcher’s mitt instead.